Remodeling or renovating your home can sometimes feel like a chore. We always want to give our home or business a fresh, new feel the best way we can and in the most cost-effective way possible. The process can be very time consuming and can put a lot of stress on your wallet. There is one change that would have a big impact on your home, workplace, and even the environment at large. This feature we are talking about is the window. Yes. Windows. In this article, we will be looking at a type called the triple glazed window. The triple glazed window is a modern and sophisticated technique for designing windows. Like the name suggests, the triple glazed window consists of three panes of glass that provides superior energy efficiency and noise reduction among many other features. The triple glazed window is similar to its two-paned model; the double glazed window, which will be discussed later in this article. It is similar in the sense that it uses separate panes of glass with spacers between them. Between these spaces, an inert gas like argon, xenon, or krypton is used to help reduce heat being transferred between the environment outside the house and inside the home. However, because of the increased number of glass panes used, the gas has more space to roam about, thereby increasing the heat and noise reduction properties. This feature makes it very suitable for relatively colder countries like the US, although they can be used anywhere in the world. It achieves low U-values: Triple glazed windows provide a very low U-value. U-value is the rate of transfer of heat through a structure (the smaller it is the better). It should be noted that having a low U-value is suitable for the home as it prevents heat loss. This helps to curb excessive energy consumption. 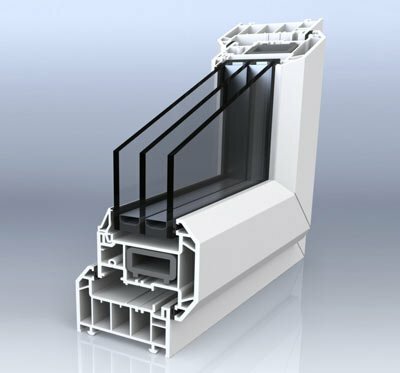 It is cost-efficient: This is one of the most important benefits of using the triple glazed window as it offers far more value than what it costs. 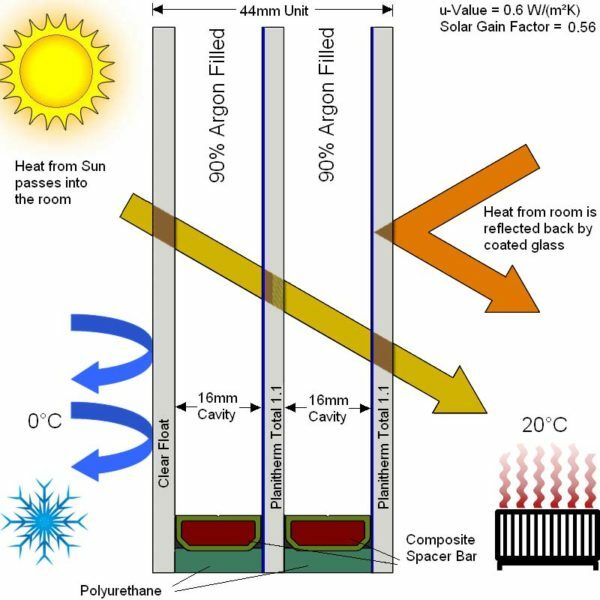 The inert gas used in the triple glazed window is an inexpensive argon fill. 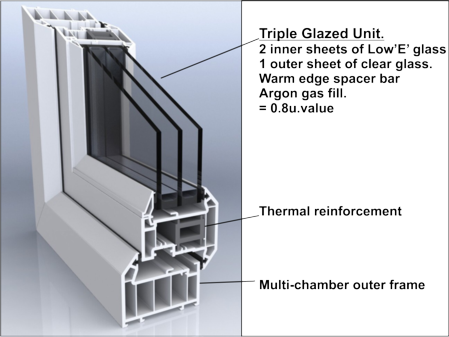 Triple glazing tilt and turn windows will achieve a low U-value (thermal transmittance). This means it stores more heat at a more affordable price. It helps reduce noise: Usually, windows are made of thin glass membranes and are thus a good entry point for noise. 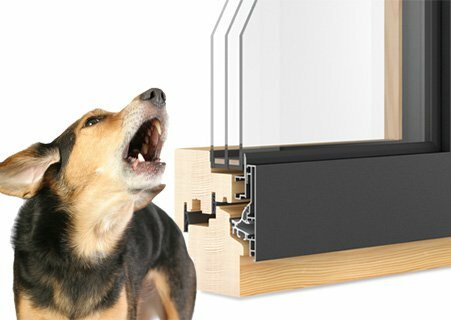 Using the triple glazed window reduces the amount of unwanted noise that is entering the house. The amount of noise is reduced due to the presence of additional layers of glass and air pockets. The lifespan of a double glazed window is said to be up to 20 years, but that of a triple glazed window is said to be close to 30 years. Ultimately, the lifespan of a window will depend on a lot of things like the quality of the materials used, the date that the window units were made, where when they are installed, and how they are used.